If you have recently purchased a h5000 Series iPAQ unit, but lack the necessary software and information then this product is the perfect way to get the most out of your iPAQ unit. With the included AutoSync cable you can easily synchronize your PDA with your PC via USB connection, whilst the Getting Started kit provides all the technical information for your model, along with both the software and key needed to operate your iPAQ unit. Don't be locked out of your unit, this product features all you need for a fully usable PDA. 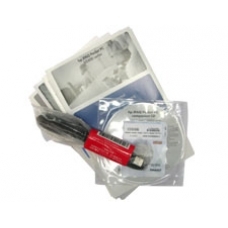 * Includes AutoSync cable needed for Synchronization and Software Installation. * Includes Manual and all relevant Technical Information.